Did you know that auctions have been around for over 2,000 years? The practice of people gathering in groups and bidding to purchase different objects, whether it’s land, jewelry or homes, has been a part of our history for many generations. Ancient Greek records show evidence of auctions taking place as long ago as 500 B.C. Sadly, the history of auctions began with women being auctioned off for sale as wives to affluent men in Ancient Greece; but a few hundred years later, Romans used auctions to sell family estates, and to sell goods that were won in war. Quite significantly, in 193 A.D., the entire Roman Empire was placed up for auction by the Praetorian Guard, according to National Auctioneers Association. The presence of auctions on American soil began with the Pilgrims. Early American settlers sold items like crops, livestock, tobacco and other objects at auctions to townspeople. 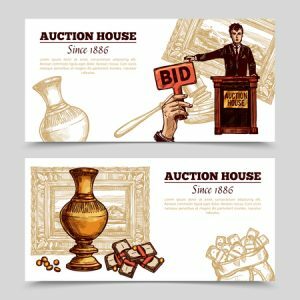 In many cities around the world, auctions, especially silent auctions, in which participants write down the amount that they would wish to pay for a certain item or service and the highest bidders are announced later, have become a very popular way to raise money for charities of all kinds. Some early traditions of auctions, like the selling of land possessed by the state, or the selling of a person’s estate—their goods and their property—when they did not have a will or living relatives, are still very much a part of auction culture. If you’ve never been to an auction before, but are curious about what it’s like, view a list of upcoming auctions and give Smith & Co. Auction & Reality, Inc. a call today at 580-254-3975. We sell everything from farm machinery to 3100-acre ranches and we are Northwest Oklahoma’s choice for all of your land auctions and real estate needs!